Bellberry is committed to continual business and quality improvement and implemented an online submission system called eProtocol in 2009. The information in this section will help you make an informed decision if you are considering participating in research. Bellberry has 8 NHMRC certified HRECs and a panel of approximately 100 members Australia wide. Bellberry Limited is a national, private not-for-profit organisation providing streamlined scientific and ethical review of human research projects across Australia. As a profit for purpose company Bellberry supports a number of grants and research initiatives. Clinical Trial – A form of research designed to find out the effects of an intervention, including a treatment or diagnostic procedure. For a listing of the many clinical trials being conducted In Australia you can log onto the Australia New Zealand Clinical Trials Register. Behavioural & Social Sciences – studying human behaviour in order to measure, understand, and control processes that may later be applied to health, wellbeing and illness. Data Collection Studies – the systematic approach to gathering and measuring information from a variety of sources (often personnal health data) to get a complete and accurate picture of an area of health related research. The National Statement on Ethical Conduct in Human Research (2007 incorporating all updates) provides guidelines for Researchers, Human Research Ethics Committees (HRECs) and others conducting ethical review of research, and also emphasises institutions’ responsibilities for the quality, safety and ethical acceptability of research that they sponsor or permit to be carried out under their auspices. In addition to the National Statement, the Australian Code for the Responsible Conduct of Research has an essential role in promoting good research governance. The Research Code sets down the broad principles of responsible and accountable research practice, and identifies the responsibilities of institutions and researchers in areas such as data and record management, publication of findings, authorship, conflict of interest, supervision of students and research trainees, and the handling of allegations of research misconduct. A judgment that a human research proposal meets the requirements of the National Statement must be made before research can begin. This is conducted by a HREC, like Bellberry who have established procedures for the ethical review of human research. 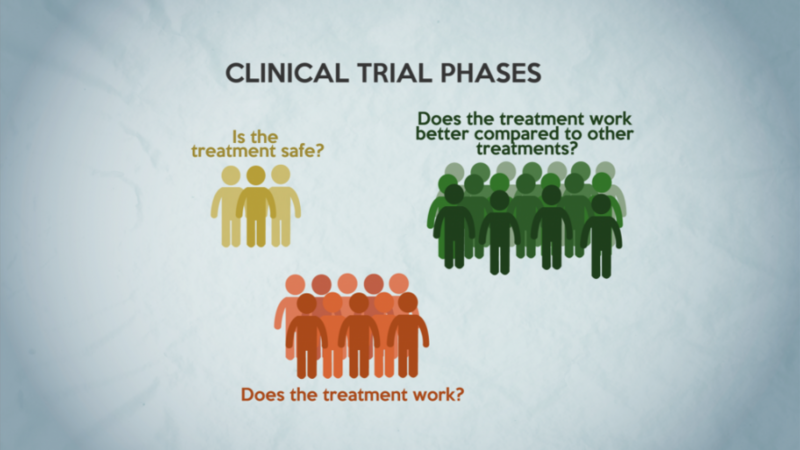 Clinical trials are conducted in a series of steps, called phases – each phase is designed to answer a separate research question. Phase I: These studies involve the first administration of the medicine to humans. Medicines are usually given to small numbers of healthy volunteers, but sometimes to people affected by the disease the medicine is intended to treat. The purpose may be to determine the medicine’s safety, side effects, preferred routes of administration, or appropriate doses (for later studies). The studies are usually undertaken in centres equipped for specialized monitoring and a high degree of surveillance. Phase II: These studies are typically the first trials of the medicine in people with the health condition for which the medicine is intended. The principal aim is to determine efficacy and safety and establish an appropriate dosing schedule. These studies are undertaken in a small number of closely supervised patients and conducted by researchers regarded as specialists in the health condition and its treatment. Phase III: These are undertaken if the Phase II studies indicate the medicine has potential benefits that outweigh any hazards. The studies involve greater numbers of patients with the health condition under study, and aim to determine whether the medicine is beneficial in that health condition and whether the number and nature of adverse effects are acceptable. Phase IV: These studies are undertaken after the medicine has been approved for marketing for the treatment of a particular disease or for a particular health issue. They may include studies to compare the medicine with a wider range of therapies, and may also further investigate the use of the medicine in the normal clinical setting of the disease (which may differ markedly from the conditions under which pre-marketing trials were conducted). Such studies also gather more comprehensive safety data, adding to the information known from the pre-marketing studies.